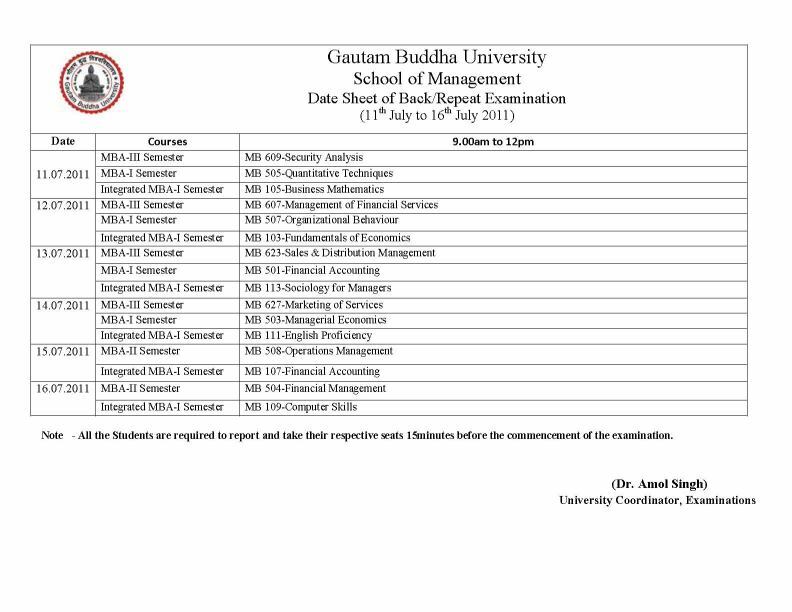 Sir I am a student of Gautam Buddha University MBA and I am looking for my date sheet of the back exam but yet I did not get my date sheet of the back exam so please can you give me the date sheet and tell me from where I can download the date sheet of back exam? 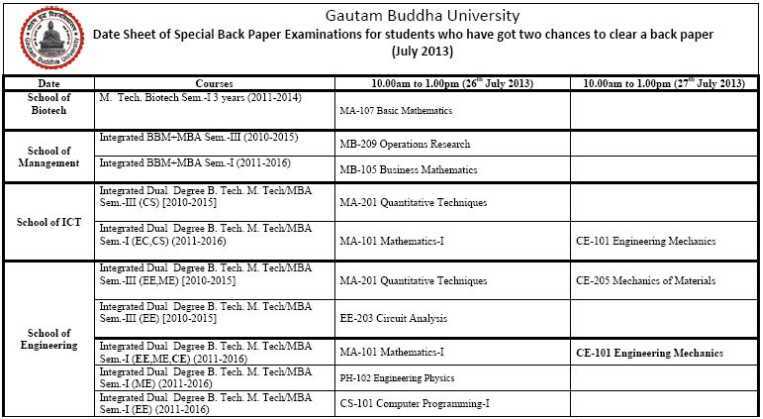 Here I am providing you a file of Gautam Buddha University MBA Date Sheet for back exam. Its have the all important dates of back exam. You can download the date sheet from here. Last edited by Vinodt; February 11th, 2014 at 01:33 PM. 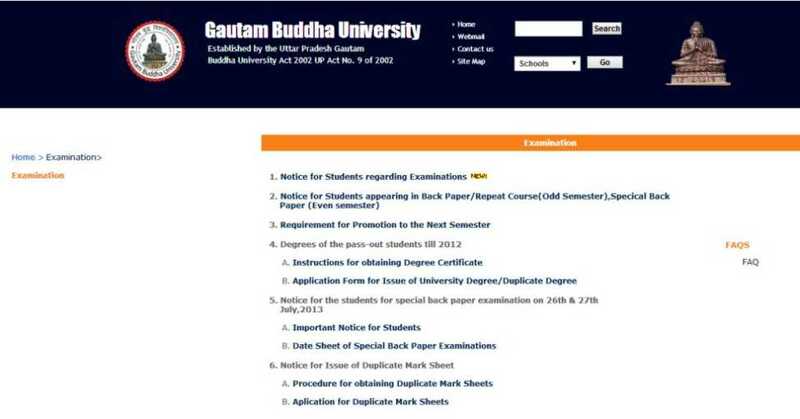 Gautam Buddh University is a government setup institution in Greater Noida, Uttar Pradesh, India. GBU was established in 2002.